Virgin Atlantic’s mission to embrace the human spirit and let it fly comes to life at London Heathrow Airport Terminal 3, the hub of the airline’s operations. 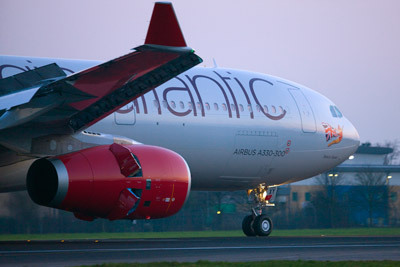 Prior to Quintiq, Virgin Atlantic planned its customer-facing terminal staff with a standalone system and spreadsheets. This planning method was in need of modernisation in order to better accommodate Virgin Atlantic’s needs. The airline found it challenging in staff planning terms to realise its vision of offering the best passenger experience while keeping staff happy and costs low. Through the inking of this partnership with Quintiq, the airline aims to achieve these goals. Powered by Quintiq applications’ planning and optimisation capabilities, Virgin Atlantic adopts an innovative demand-driven approach to staff planning that takes its lead from the flight schedule. 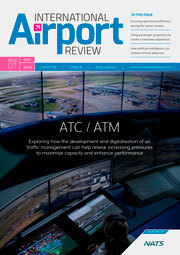 This new approach covers all planning horizons and will fully manage the rostering of the airline’s ground staff. 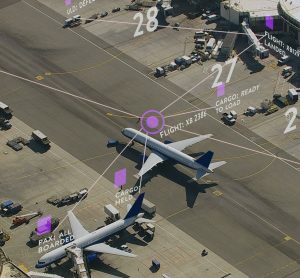 Virgin Atlantic’s planners can now combine a future flight schedule with the predicted number of passengers to model operations and identify the tasks that need to be covered. 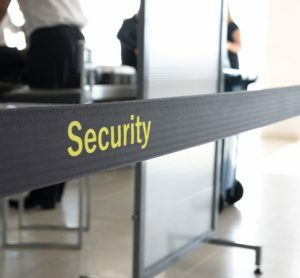 The queuing of passengers at check-in is now better managed, as the system suggests the number of check-in desks to be opened in order to meet SLAs (Service Level Agreements). Armed with this visibility of demand, planners are able to evaluate the headcount requirements of future schedules. In addition, planners are equipped to make informed decisions on the day of operations to make sure that scheduled staff coverage meets the demand derived from the flight schedule. This results in optimal coverage in the terminal at all times ― for example, ensuring that enough check-in desks are opened so that passengers are served promptly, but not too many that employees are idle and costs rise. Whatever the planning horizon ― from a year ahead to day-of-operations ― the airline will enjoy the same demand-driven planning functionality that allows it to, for instance, develop new recruitment plans, optimise shift lengths or handle unexpected changes in schedules and load factors. Quintiq applications are particularly powerful in cases of a sudden change in demand, such as a flight cancellation. In such cases, Quintiq will alert planners to the impact of the disruption and provide support for re-planning. This could, for example, include keeping check-in desks open later in the day in order to serve passengers that have been re-assigned to later flights. Quintiq will also help Virgin Atlantic cut down on overtime costs by predicting shortages days in advance, enabling the planners to adjust shift start times rather than extending shifts on the day itself. The schedule-driven planning enabled by Quintiq will also take into account employee preferences such as preferred working hours, which Virgin Atlantic staff will enter into an interactive employee portal. Once captured in the portal, Quintiq will produce a plan that fulfills as many of these preferences as possible. This minimises the burden of swapping shifts, thus resulting in higher levels of staff satisfaction. Any changes to already planned shifts will immediately be visible in the self-service portal. Virgin Atlantic was founded by entrepreneur Sir Richard Branson over 30 years ago after he decided the UK aviation industry needed shaking up and style injected back into it. On 22nd June 1984, Virgin Atlantic’s inaugural flight to Newark took place, on an aircraft filled with personal friends, celebrities and the media. Today, Virgin Atlantic flies to 33 destinations worldwide, including locations across North America, the Caribbean, Africa and the Far East. Virgin Atlantic currently has a fleet of 38 aircraft which includes comprised of Boeing 747s, Boeing 787s, Airbus A340-600s and A330-300s. Every business has its supply chain planning puzzles. Some of those puzzles are large. Some are complex. Some seem impossible to solve. Since 1997, Quintiq has been solving each of those puzzles using a single supply chain planning & optimisation software platform. Today, approximately 12,000 users in over 80 countries rely on Quintiq software to plan and optimise workforces, logistics and production. Part of Dassault Systèmes (Euronext Paris: #13065, DSY.PA), Quintiq has headquarters in the Netherlands and the USA, and offices around the world.